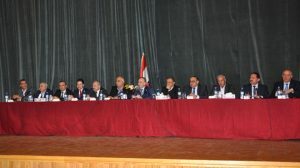 Homs, SANA – Prime Minister Imad Khamis affirmed the necessity of upgrading the executive mechanism of the economic, development and social sectors of Homs governorate to move to a new stage by developing a future strategic vision. 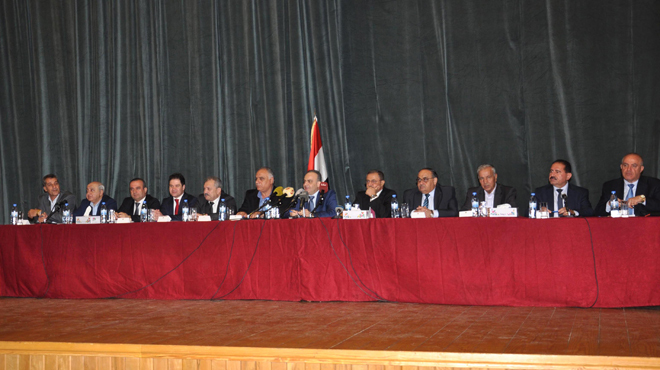 During a meeting with economic, religious, partisan and popular figures at the building of Homs Governorate on Thursday, Khamis said that the government is serious about developing the current situation and improving the level of work mechanisms in all sectors. Khamis called for the optimal investment of resources and work to push the production wheel forward, encourage the private sector and invest in the facilities and public institutions in the best way, pointing out that the government will work to develop laws and legislations to attract investments and projects that provide real funding resources to the national economy through cooperation between different parties. 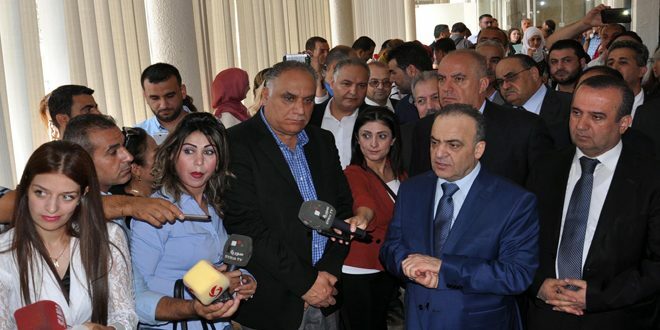 On Wednesday, a governmental delegation headed by Primer Khamis started a four-day work visit to Homs to inspect the economic and services situation in the province.